What seemed to be like a niche use-case earlier is increasingly becoming the most crucial aspect while choosing a smartphone. We’re of course talking about the battery life, and thankfully, manufacturers are regularly offering devices with big batteries that are good enough to keep them going for up to two days on a single charge. This allows users to roam around freely without worrying about their phone running out of juice at crucial moments. So if you’re also looking for such an option without pinching your wallet, then here’s a list of the top 5 phones with powerful batteries that you can buy under Rs 20,000. Following up on the success of the Max Pro M1 (review), ASUS recently launched the ZenFone Max Pro M2 that brings forth hugely improved design, more powerful internals and a larger display. More importantly though, it has retained the main attraction of its predecessor — the whopping 5,000mAh battery. This phone can easily last you for up to two days and have some juice leftover at night. Moreover, it comes with support for fast charging as well. As far as the specs are concerned, the phone features a notch-induced 6.26-inch display with a resolution of 1,080 x 2,280 pixels, and runs on a Snapdragon 660 chipset. Another phone in this list with a capacious 5,000mAh battery is the Motorola One Power. It can last for two days on a single charge, and its Turbopower fast charging technology allows it to get six hours of battery life with just 15 minutes of charging. It’s a great overall phone as well, granting you the benefits of a large 6.2-inch notched display, the Snapdragon 636 processor and Android One software. For photography, the handset offers dual rear cameras comprising 16MP and 5MP snappers, and a 12-megapixel selfie shooter. OPPO’s offering for fans of big battery life is the A7, which is also known for the waterdrop notch on its display. A 4,230mAh battery has been placed inside this handset, while the company’s proprietary software has been equipped with several AI features aimed at freezing inactive apps and reducing excess caching to save more power. In terms of the other specifications, the OPPO A7 isn’t as exciting as the other phones in this list, however. Its 6.2-inch screen grabs a resolution of 720 x 1,520 pixels and its operations are handled by the budget-oriented Snapdragon 450 chipset. 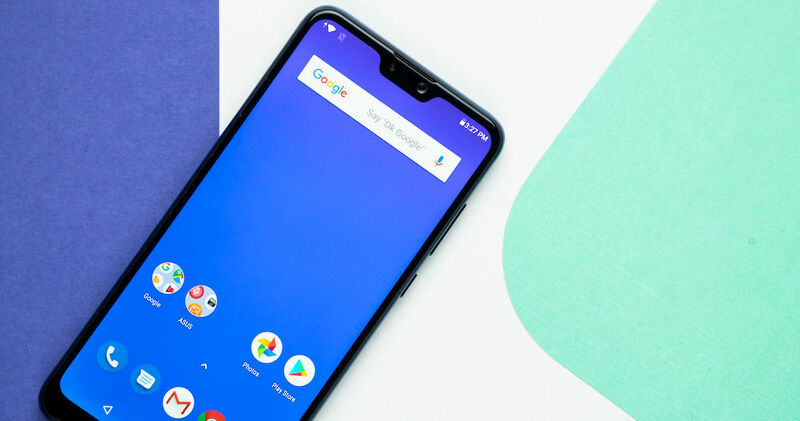 One of the most value-for-money devices available out there, the POCO F1 excels in almost every department, including battery life, thanks to its adoption of a 4,000mAh cell. It has even been blessed with Qualcomm’s Quick Charge 3.0 technology, which allows you to juice it up quickly. It’s hard to believe that the POCO F1 costs Rs 19,999 when you realise it runs on the flagship Snapdragon 845 SoC, and offers other exciting features like a 12MP + 5MP rear camera setup, a 20MP sensor at the front and a 6.18-inch 1,080 x 2,246-pixel display. Another Xiaomi phone with a 4,000mAh battery at its core is the Redmi Note 6 Pro. This device too allows you to stretch its usage to two days if you use it moderately with 4,000mAh pack. It’s powered by the Snapdragon 636 SoC, and flaunts a total of four cameras. Two of them (20MP + 2MP) sit on its front, while the other two (12MP + 5MP) can be found on its rear panel. Both these camera combinations are able to provide portrait effects. At the front, the handset sports a 6.26-inch panel with a resolution of 1,080 x 2,280 pixels. Those are all handsets we think should be considered if you’re looking for a phone with powerful battery life in the affordable segment. Do let us know what you think about these picks in the comment section down below.